Tech and its allies in the net neutrality fight aren’t pleased with AT&T’s ad blitz arguing they should be subject to neutrality requirements, too. Real talk: For now the two sides of this debate are talking past each other, so the ads and tech's response are political theatre. “It is impossible to believe that AT&T is serious when they have such a long track record opposing consumer protections like net neutrality,” said Noah Theran, a spokesman for the trade group Internet Association that represents Google and Facebook. While ISPs would no doubt enjoy the certainty of legislation, they’ve already gotten what they want in the FCC’s repeal of the last net neutrality rules. And tech and the left have already decided on a near-term path forward. They’ll sue to block the FCC repeal in federal court. They’ll try and block it in Congress through a longshot resolution under the Congressional Review Act. Democratic governors and state legislatures are moving to make net neutrality rules a reality at the state level. 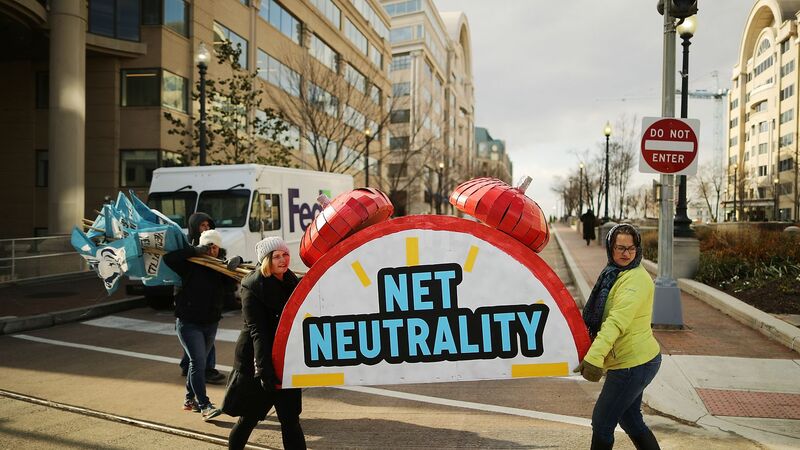 Governors in New York and Montana signed orders this week that would apply net neutrality rules to ISPs that worked with the state. Those could also be challenged in court.